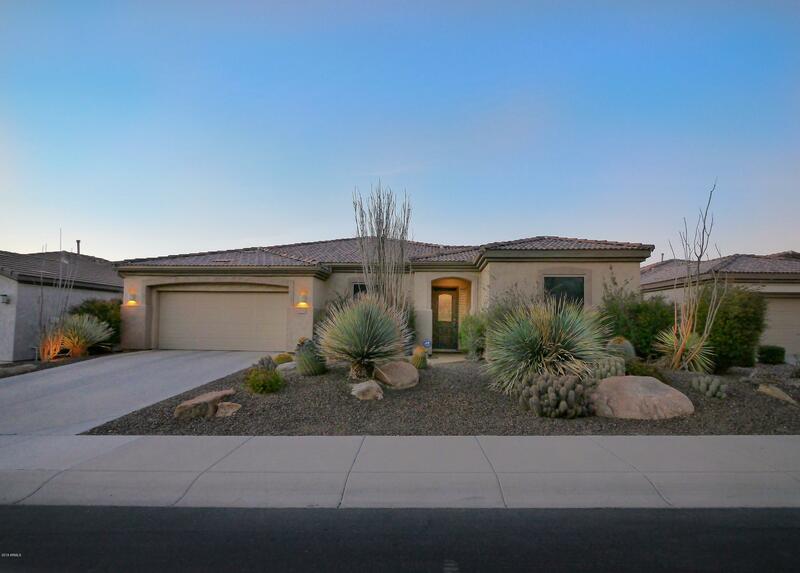 All Trilogy at Power Ranch homes currently listed for sale in Gilbert as of 04/19/2019 are shown below. You can change the search criteria at any time by pressing the 'Change Search' button below. 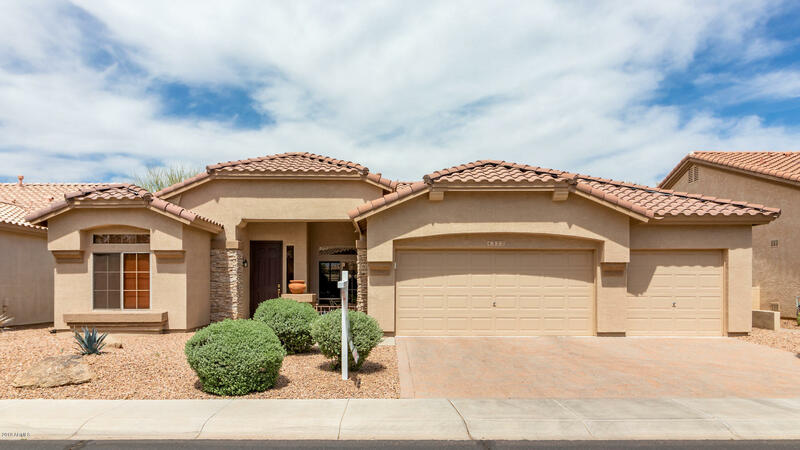 "Stunning Cimarron model loaded with upgrades galore! Exceptional finishes include, 18'' tile flooring, soaring ceilings, custom built-ins, fireplace in great rm, surround sound, formal dining, plantation shutters, and gourmet kitchen w/beautiful granite countertops, 2 islands, pendant lighting, 2 sinks, R/O, custom cabinetry, pull-out shelving, custom backsplash, pantry, and cabinet-front refrigerator! This one of a kind home also includes a 450+ bottle, temperature controlled wine room! Maste"
"Location! Location! This Great Home is within walking distance to the ClubHouse, Tennis Courts, Bocce Ball Courts, Swimming Pools, and more. 4322 E. Chestnut Lane has 1575 square feet, Huge 3 Car Garage with Built-in-Cabinets w/Sink,Granite Counter Top, Extended Length, Epoxy Floors, and room for Toys. Home has 2 Bedrooms, split floor plan, Den/Office w/ built-in-Cabinets. Kitchen Features are Double Wall Ovens, Engineered Quartz Stone Counters,Gas Cook Top, and open to the Family Room. Master "
"CUSTOM, CUSTOM, CUSTOM!!! Impeccably maintained ''Morningstar'' Model on OVERSIZED N/S private yard in the Active Adult Community of TRILOGY @ Power Ranch. This home is highly upgraded featuring Redesigned Gourmet Kitchen w/Large Island boasting Granite Counters with seating area. Gas Range/Oven, Side x Side SS Refrigerator, CUSTOM To-The-Ceiling Cabinets. Spacious Great Room w/CUSTOM Wall to Wall Built-ins. Den w/CUSTOM Desk & Crown Molding. 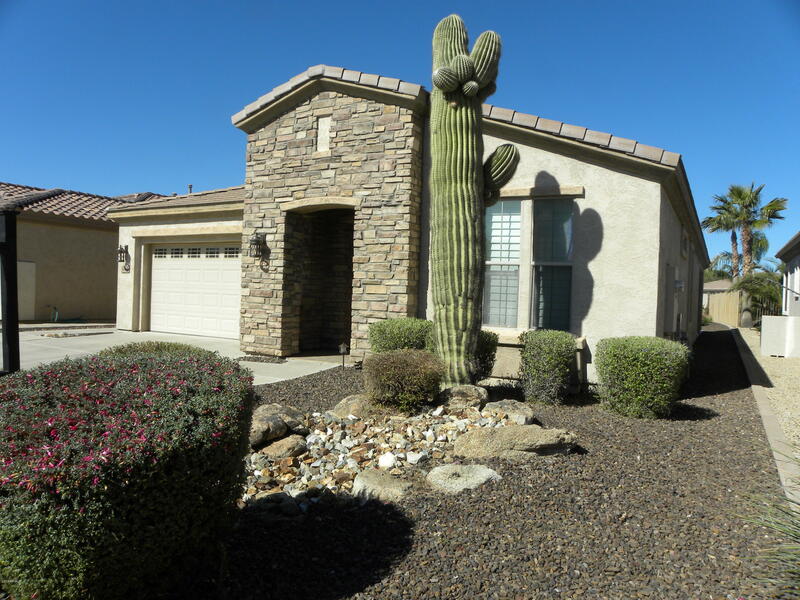 Wood Shutters, 20 x 20 Tile & 4'' Baseboards thruout"
"Immaculate home on sunny n/s lot overlooks a lush green park & the San Tan Mtns. So much to love in this highly desirable Morningstar model. Spectacular kitchen, neutral tile floors & carpet. Move in ready! Backyard paradise features lots of room for entertaining. BBQ w/ side burners included! 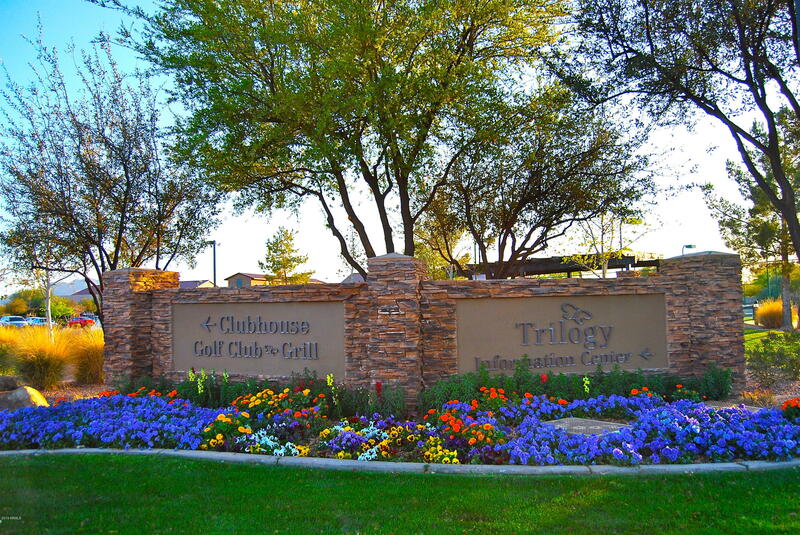 You'll feel like you're staying in a luxury resort with Trilogy's amenities; 18 hole championship golf course, heated pools, bocci, tennis, pickle ball, state of the art fitness center, clubs & more. "